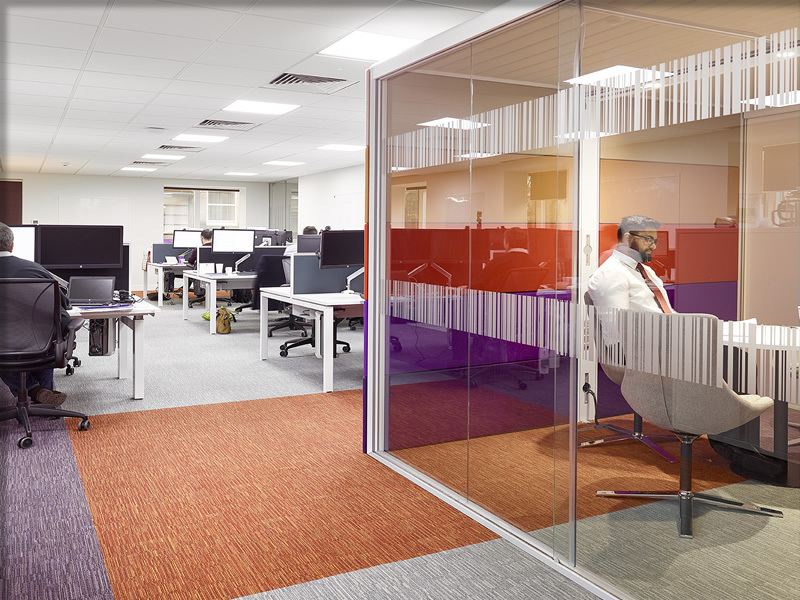 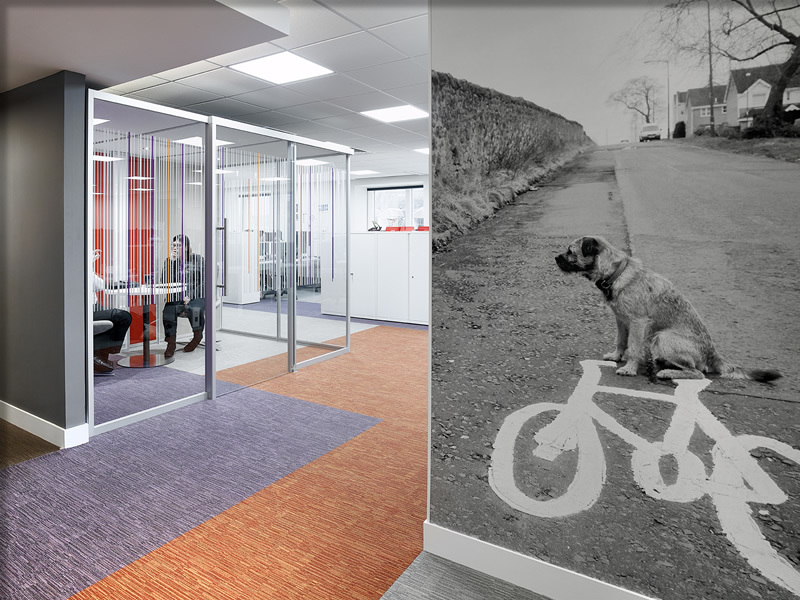 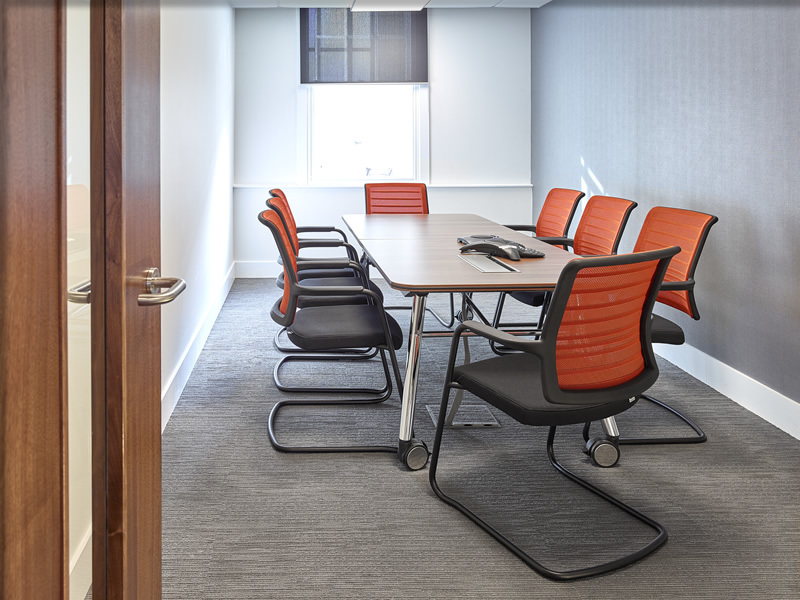 Following earlier successful projects, Scotwood Interiors was contracted by Royal London Group to completely refurbish it’s Edinburgh Head Office. 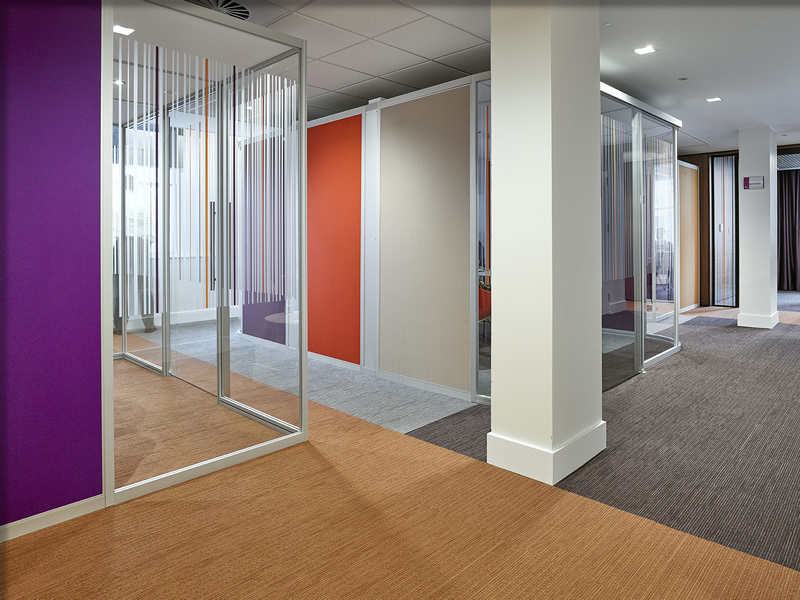 Part of the project involved creation of a stunning new suite of meeting rooms. 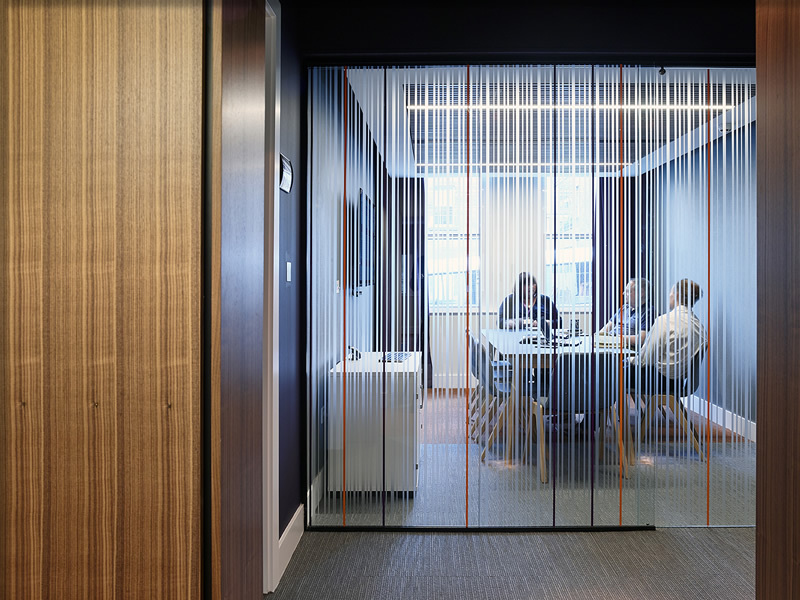 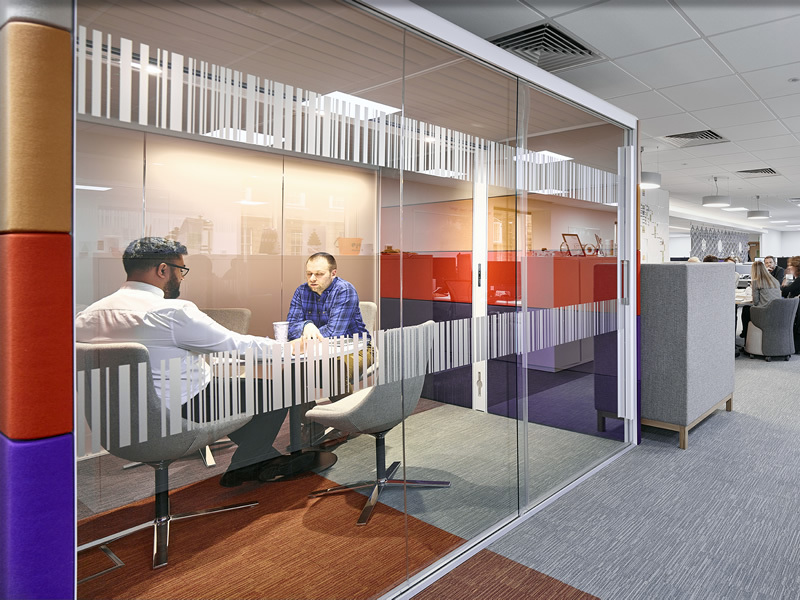 The 14-week project involved striping out the existing air conditioning, partitions and flooring and the creation of 10 new meeting spaces of varying sizes, with folding screens to increase flexibility. 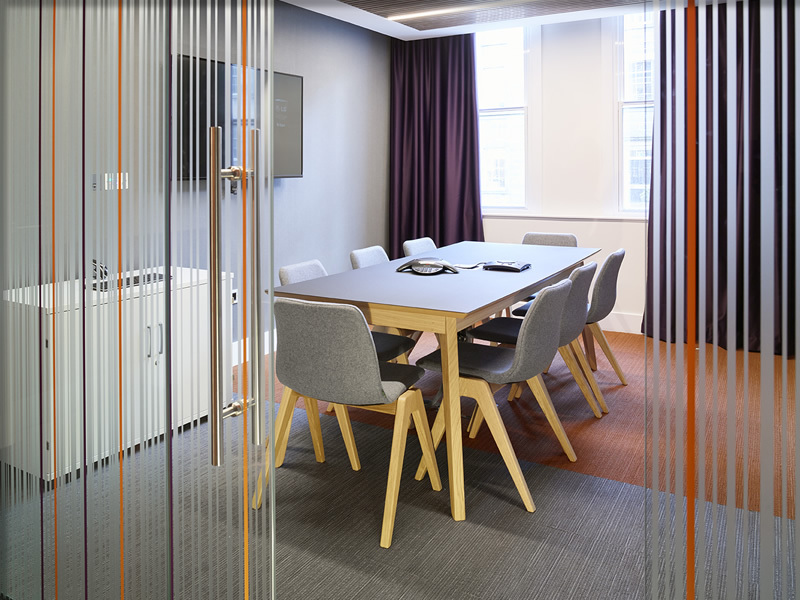 Walnut panels, timber veneered ceilings and glass walls create a sophisticated environment, while designer curtains and wallpaper, digital prints and bright soft furnishings lend a modern twist. 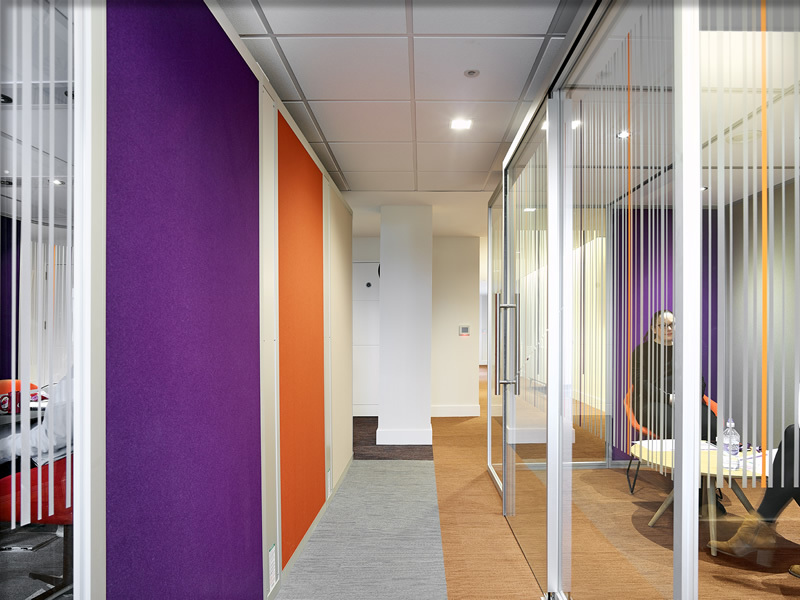 The Scotwood team did a great job delivering this work. 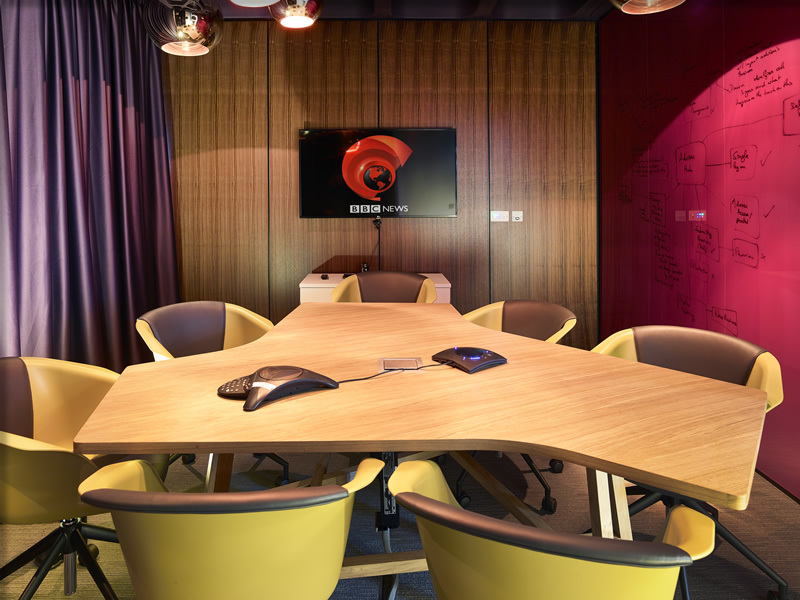 They managed to complete a very tight programme on time despite long lead times for some of the products chosen. 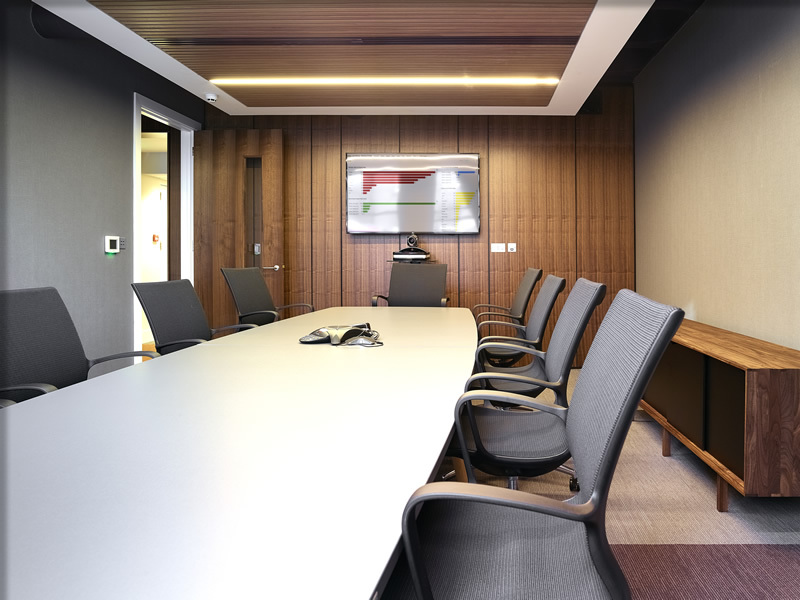 We are delighted with the finish and the service provided by Scotwood. 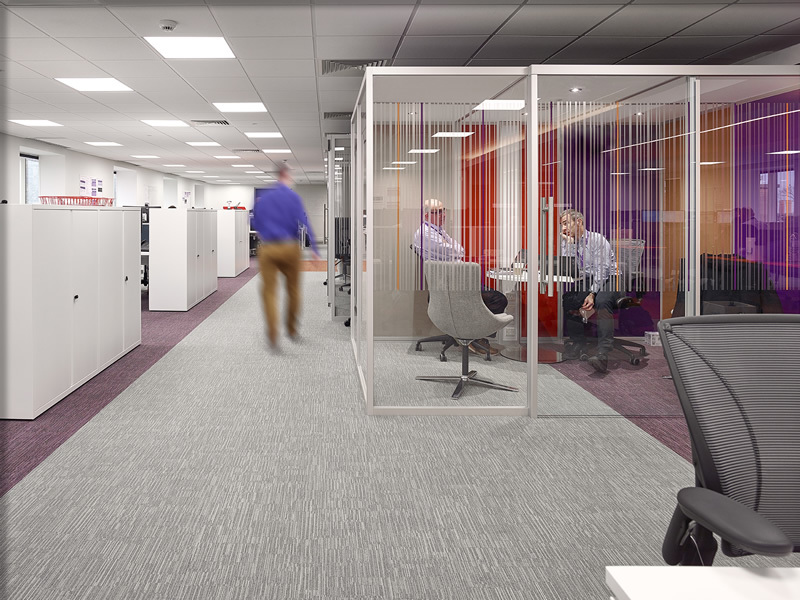 This project follows the fit out of four other floors as part of the year-long project. 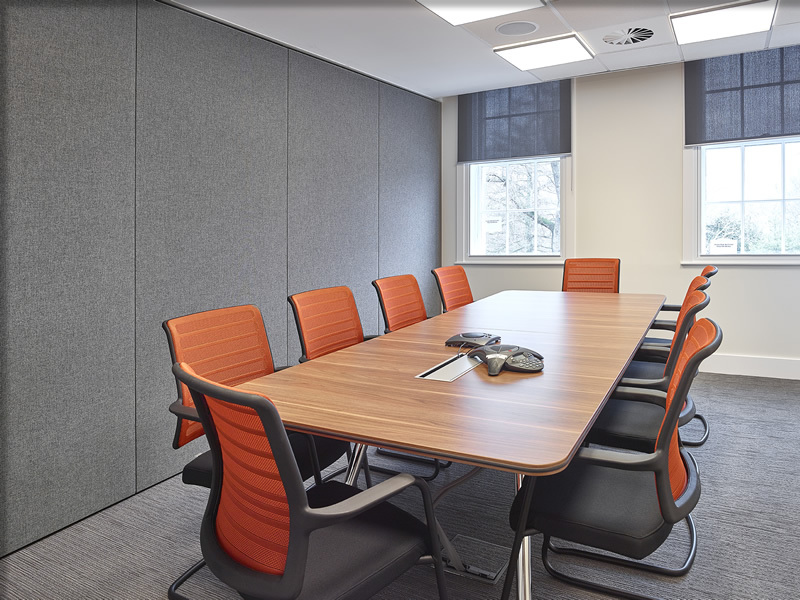 Creation of a stunning new suite of meeting rooms for Royal London Group in Edinburgh from Scotwood Interiors.